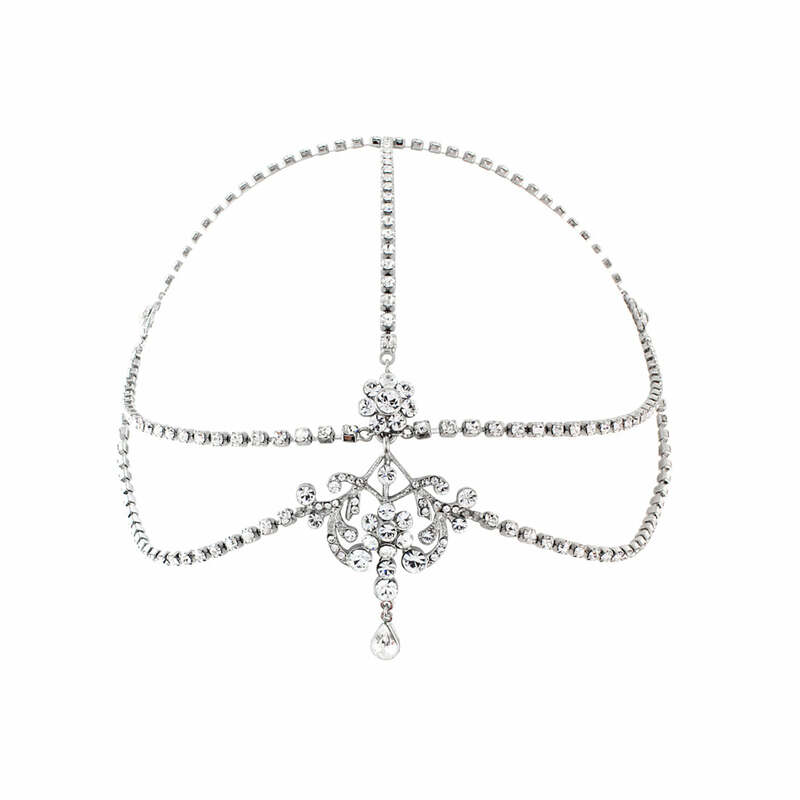 Our stunning Twenties Sweetheart Headpiece encaptures the fabulous Roaring 20s in sparkling style. 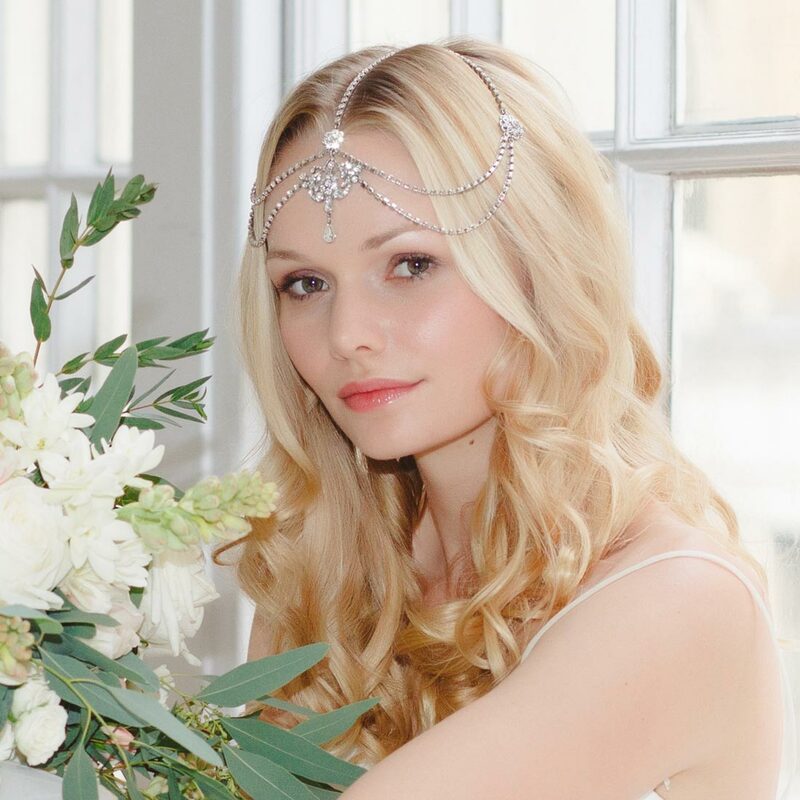 Featuring clear Austrian crystal encrusted chains with an ornate centre piece with central flower and pear cut crystal droplet which sits on the forehead, this beautiful headpiece is divine. With end hoops to secure to the hair with kirby grips, simply place over the head to position and then fasten in place. An exquisite wedding headpiece for brides who adore the 1920s or to achieve a beautiful boho look, Twenties Sweetheart Headpiece complements all bridal hairstyles from a cute bob, chic up-do or bohemian loose waves. Coordinate with a bejewelled cuff and drop earrings for show stopping style.